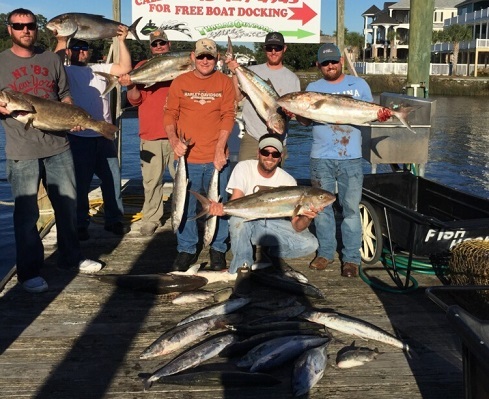 Booking now for charters in 2017 call early for your discounts. 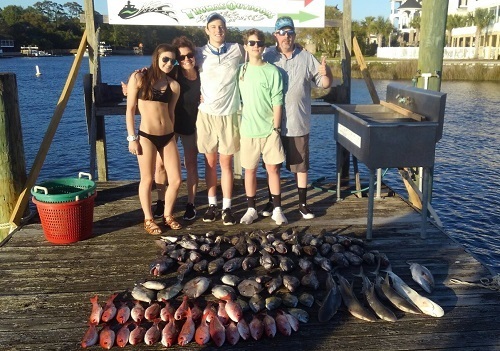 Fishing been good we have been doing a lot of commercial fishing this time of year here a pic of Vermilion Snapper trip. 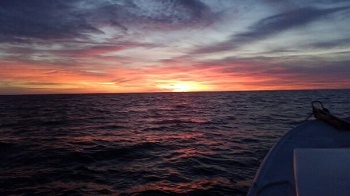 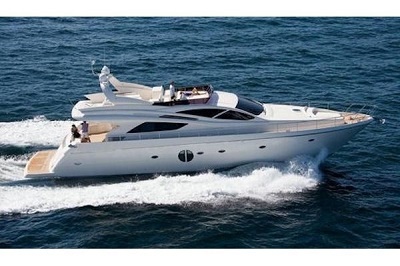 Book a charter in March and we will add a extra Hour to your trip!!!!! 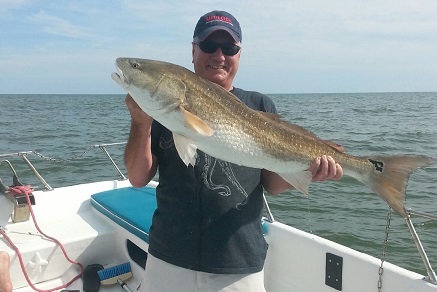 Call now to book your Spring fishing trip. 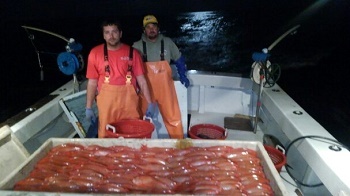 Few more weeks of Commercial fishing then time to run Charters. 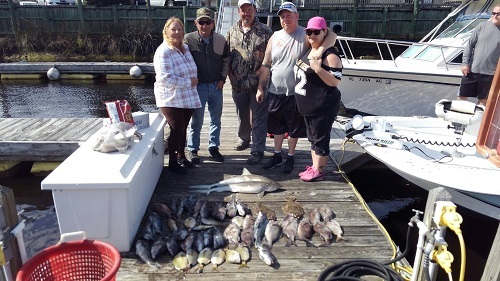 1/2 day trips been good catches of keeper Sea Bass and few Sharks.Never caught Sharks in Feb close to beach but with the warm weather the water temp is up. 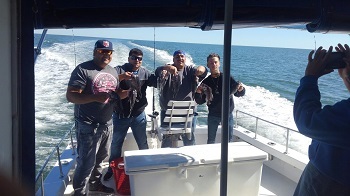 Last week had good catches of nice big Sea Bass on 1/2 day trips. 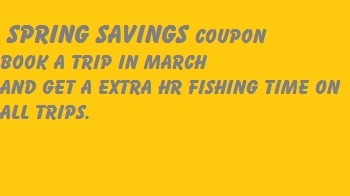 Been doing good on 1/2 day trips and 8 hrs trip. 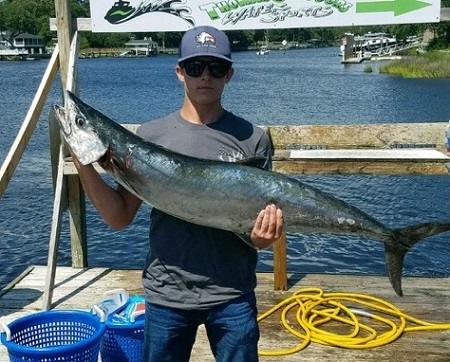 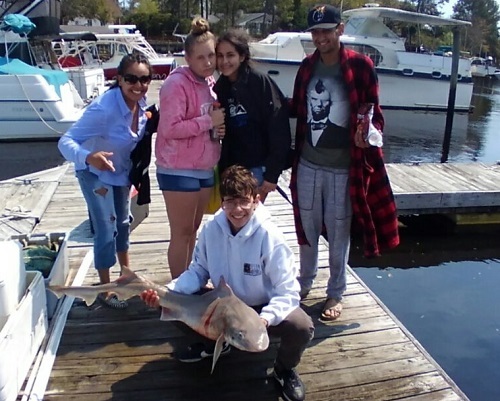 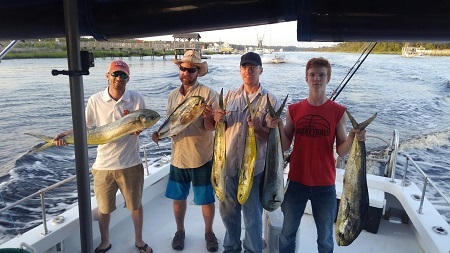 Group this week with a nice catch. 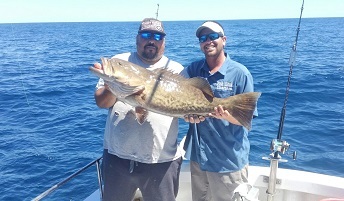 Good catches of big Sea Bass on 1/2 day trips and few sharks showing up now on inshore trips. 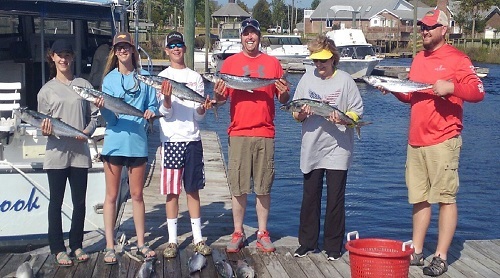 Family from Colorado with a nice catch of Sea Bass And Big Shark on inshore trip today. 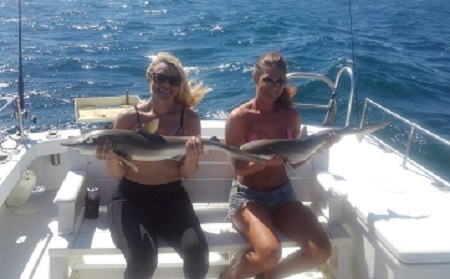 Alot trips last couple weeks water warming up good catches of keeper Sea Bass and some sharks showing up. 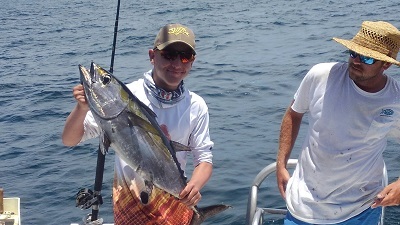 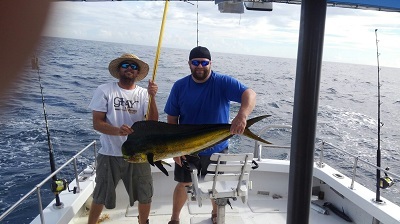 Capt Greg and Mate Brandon of the Fish Hook II show off good catch of Gulf Stream fish today from local group. 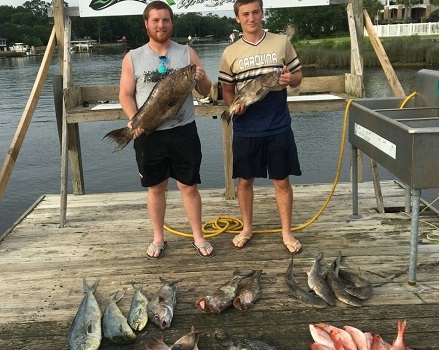 May 1st Grouper open ,cant wait to put them on the dock. 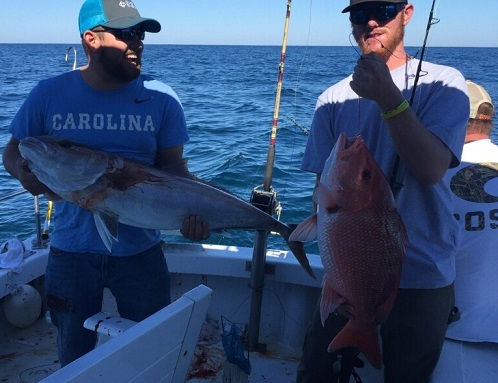 Capt Greg on the Fish Hook II with mate Andrew with group from Columbia S.C. with a great catch today in the Gulf Stream. 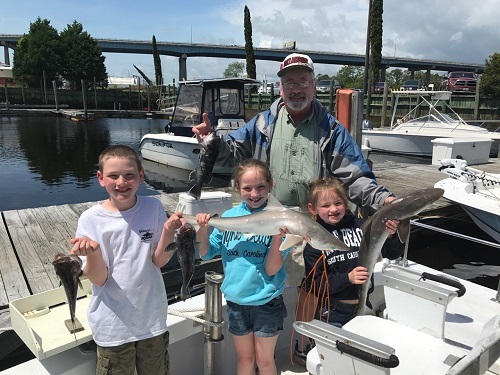 Sharks on 1/2 day trips Kids having fun. 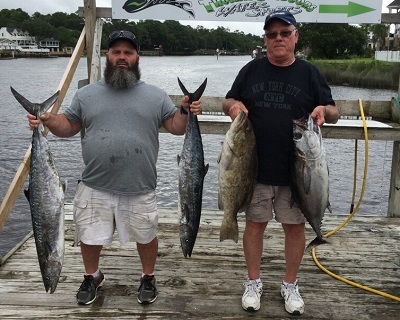 More King Mackerel fishing on 8 hr trip today with some big Sea Bass to. 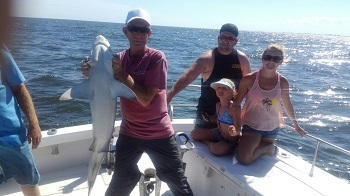 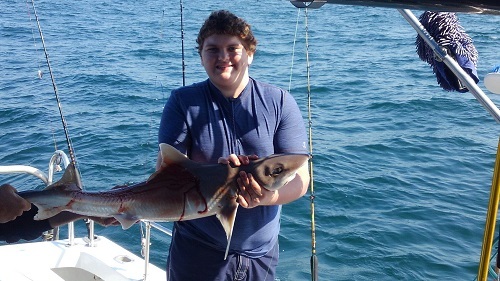 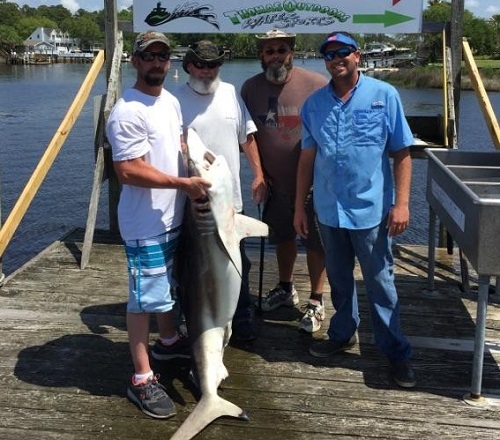 Big Spinner Shark today on 1/2 day trip maybe there a little early this year. 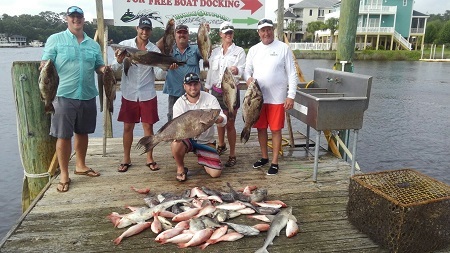 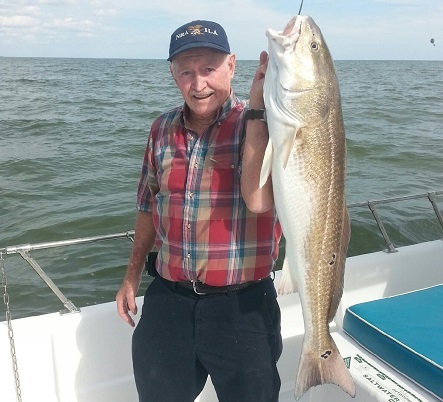 Fishing is in full swing now good catches of Grouper offshore on our Gulf Stream trips and King Mackerel trips. 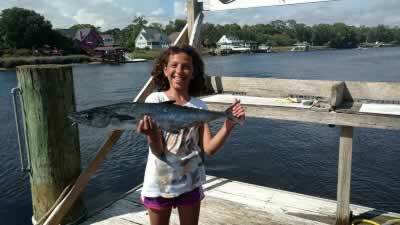 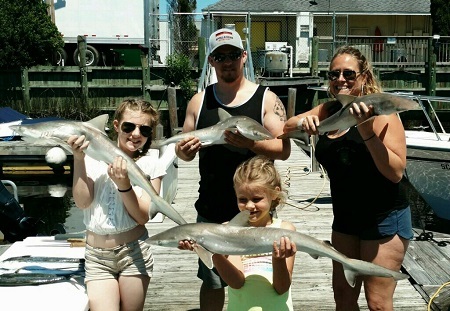 On our 1/2 day and 3/4 Kids are having fun catching Atlantic Sharp Noise Sharks Sea Bass and Spanish Mackerel. 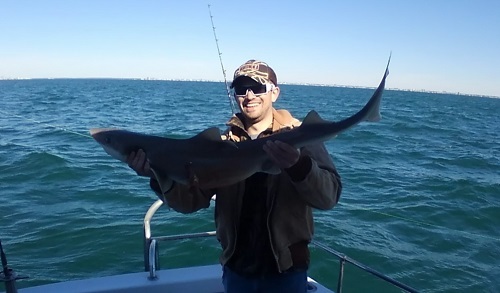 Another Keeper black tip today.They are here now, cant wait for Jun to get here going to be alot of them. 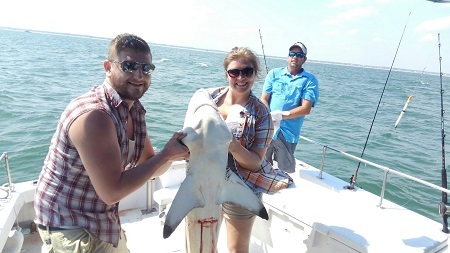 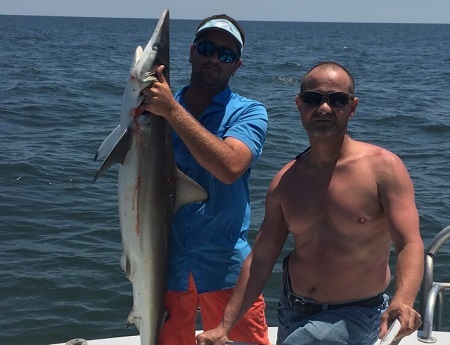 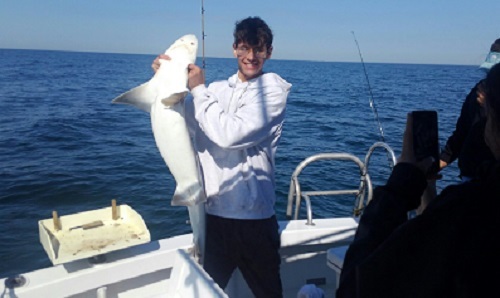 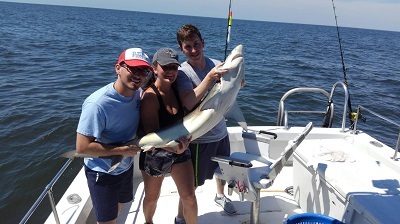 More Shark action on 1/2 day trips and 3/4. 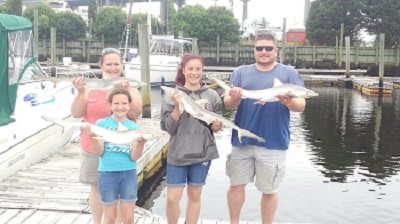 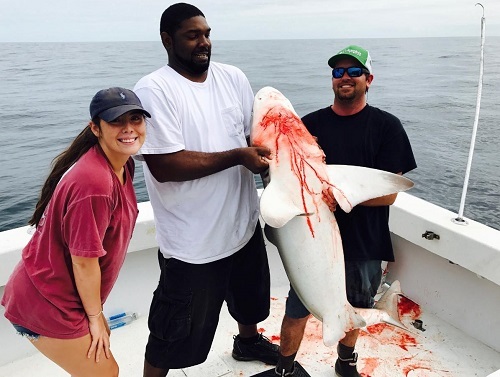 Today on the Fish Hook.Big Sharks are on the beach thick good catches on 1/2 day trips its like fighting a Blue Fin tuna looking at sand dunes. 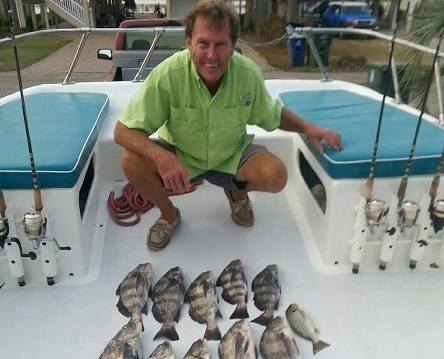 Good Catch of Grouper in Gulf Stream today on the Fish Hook 2 with Cat Greg. 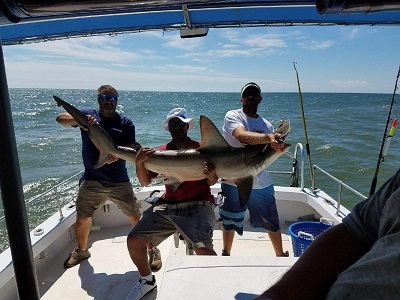 Been a lot of fishing going on last few weeks with good catches in Gulf Stream and all the way in to 1/2 day trips on the Beach for big sharks. 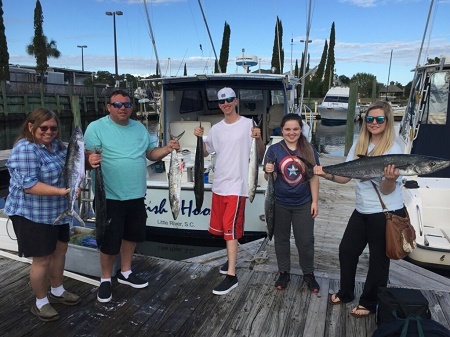 On our 9 hr trips good catches of King Mackerel and Cudas. 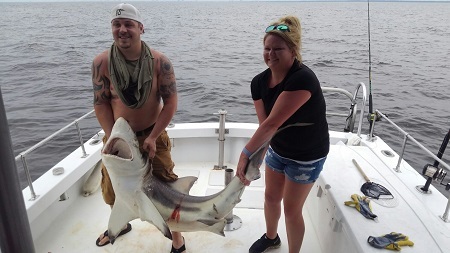 On 1/2 day trips been see some big sharks show back up.Repeat customer with a nice hammer head. 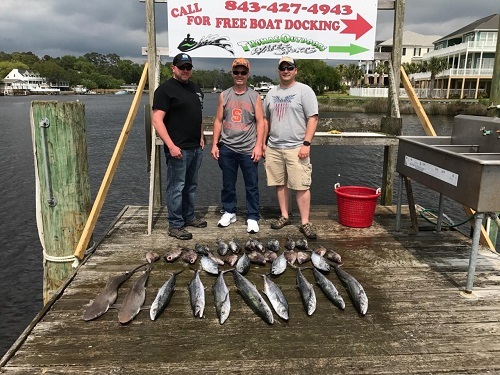 Gulf Stream today with catches of Vermilion Snapper, King Mackerel Trigger fish and Grouper.Caught a nice Black Fin Tuna to go along with others. 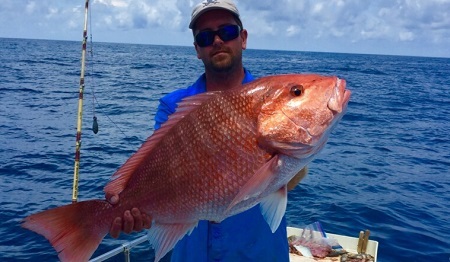 Ok hurricanes stay away,fishing getting back normal now good catches of snapper and grouper offshore and sharks and sea bass insore. 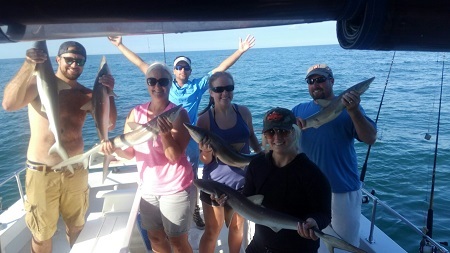 our all day 11 trips get 20 off per person. 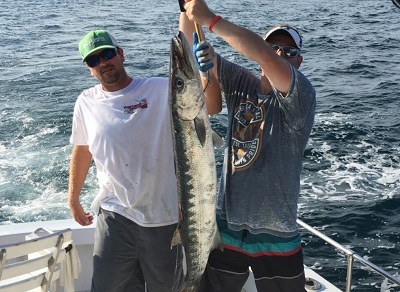 Alot of King Mackerel being caught on our 7 to 10 hr trips this month really good fishing now with water cooling off. 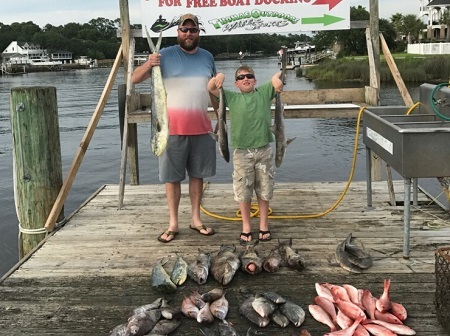 Snapper and grouper on our Gulf Stream trips. 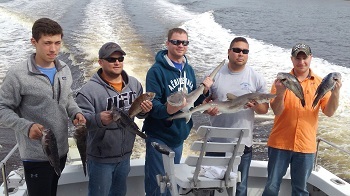 More action today on 9 hr trip with a limit of King Mackerel and Amber Jacks, Grouper and bottom fish. 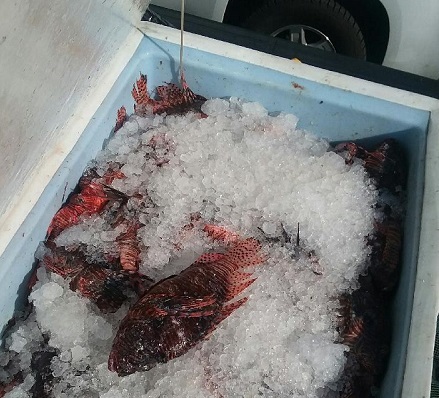 been commercial fishing last few weeks good catches of Snapper Grouper and Hog Snapper. 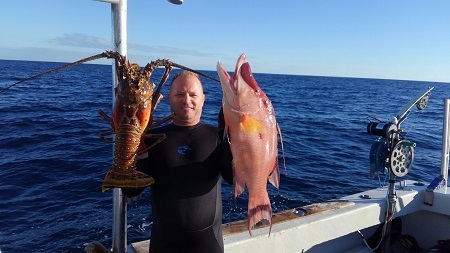 Jerry with nice Lobster and Hog Snapper. 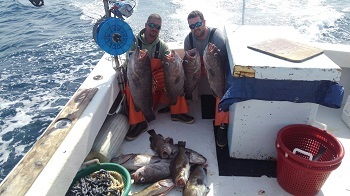 Few charters this past week on 1/2 day trips Good catches of Black Sea Bass.